by Andy Higgs in Denmark, Europe, Features, Places. We’ve now covered Berlin, Paris, Stockholm and New York in this updated series and today we’re heading back to Scandinavia by popping down to the Danish capital, Copenhagen. Here you’ll find a variety of Christmas markets to check out, and don’t forget to sample one of the many Christmas beers produced by the city’s excellent craft brewers. When visiting Copenhagen, check Hotelspecials for some great deals on accommodation. 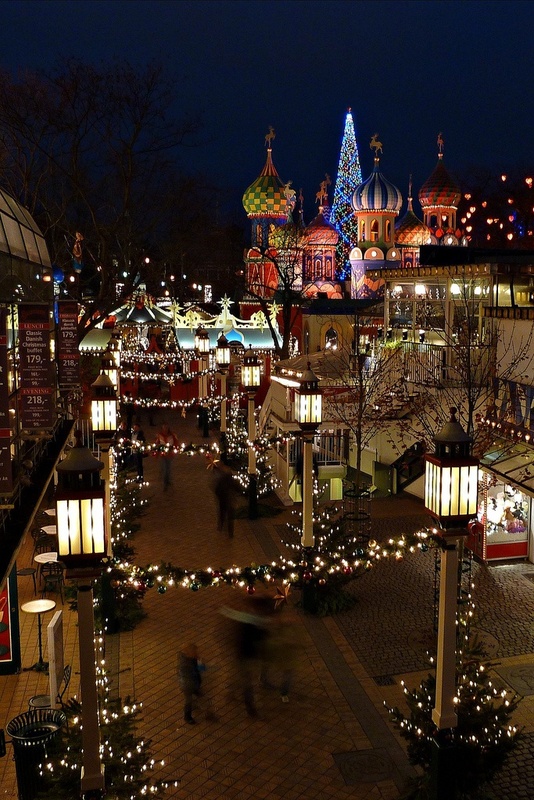 Tivoli is wonderful at any time of the year but it’s extra special in the run-up to Christmas. For it’s 21st year the park will bring back the highly popular Nordic theme from last year. Some 1200 square metres of wooden houses, food stalls and Christmas trees await – and you’ll find Father Christmas in the ancient Pantomime Theatre. The Christmas market itself is set up along the paths in the fairgrounds and comprises around 50 stalls selling gifts, decorations, hot drinks, sweets and food. Danish specialities you just have to try include klejners (giant traditional Christmas cookies) and honey cakes. The stalls and decor are inspired by Danish and Scandinavian tradition and the presence of real reindeer add to the magical Christmas atmosphere. Returning this year is the Alpine village – recreating the style and atmosphere of winter further south. From mid-November the scent of Danish (i.e. alcoholic) gløgg, steaming cocoa and Yuletide sweets fills the air on Højbro Plads right near the main drag, Strøget. This Christmas market boasts of having something for everyone and the stands sell products from many different countries. Taste some German pastries and Italian cheeses before sampling chocolate, coffee and sausages. Just make sure you don’t go home without trying traditional Danish æbleskiver (pancakes) and the aforementioned gløgg (mulled wine). It’s not just food though – you can pick up a woolly jumper or two (perhaps inspired by Sarah Lund?) or add to your collection of Christmas decorations; find some unique jewellery, a fun hat or other clothing. The kids can ride the festive train in the Christmas city and have their picture taken with Santa from Tuesday to Sunday between 1300 and 1700. Nyhavn is usually one of the first places visitors to Copenhagen make for but in November and December it changes from its usual picture-postcard waterfront cuteness into er, picture-postcard Christmassy waterfront cuteness. Market stalls are set up selling the usual suspects of gløgg and æbleskiver along with Christmas beer, foodstuffs and handicrafts. Yes, the hippies, freaks and star children do Christmas too, albeit in their own way. The free town of Christiania plays host to a Christmas market more akin to an Eastern bazaar. Here you’ll find a large number of stalls selling handicrafts, mirrors, wrought iron candle holders, hand-made jewellery, Christmas mobiles cut from paper, clothes, leather masks and much else (though presumably not their own aromatic version of Frankincense). 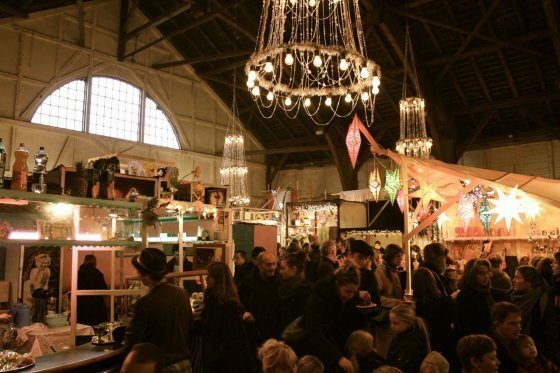 It’s an exciting place to visit and takes place in the Grå Hall in Christiania. 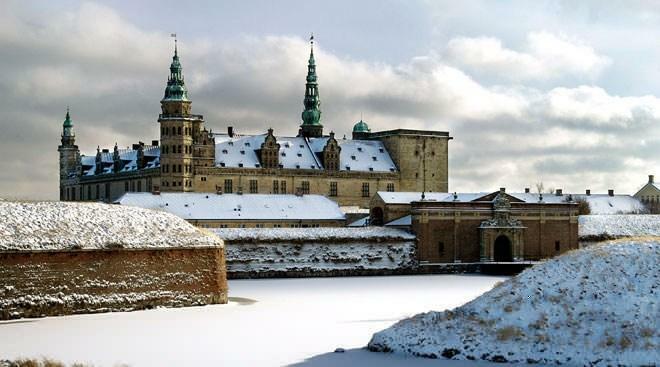 For a very different atmosphere away from the city make the journey to Hamlet’s castle (Kronborg) for the Christmas market. This (9th) year the event will be even bigger; there will be more than 100 stalls selling high quality arts and crafts and buyers have the opportunity to meet local artists. You can sample genuine Kronborg beer – and buy some as a (probably short-lived) souvenir – as well as other delicacies. It’s not just the market that draws visitors in the run-up to Christmas; you can take a ride in a horse-drawn carriage to admire the castle as you sweep past, make decorations in the Christmas workshop or join in singing (or perhaps humming along to?) Danish Christmas songs in the castle chapel. The Museum shop is beautifully decorated for the occasion and has a range of unusual gifts. I know the Christmas fairs in the world in Budapest (Hungary), Innsbruck (Austria), Bruges (Belgium), Edinburgh (Scotland), Bremen (Germany), Nottingham (UK), …..and the streets of Copenhagen have been decorated very beautiful and bring features of Denmark.